Get married in Canada's most beautiful national park. 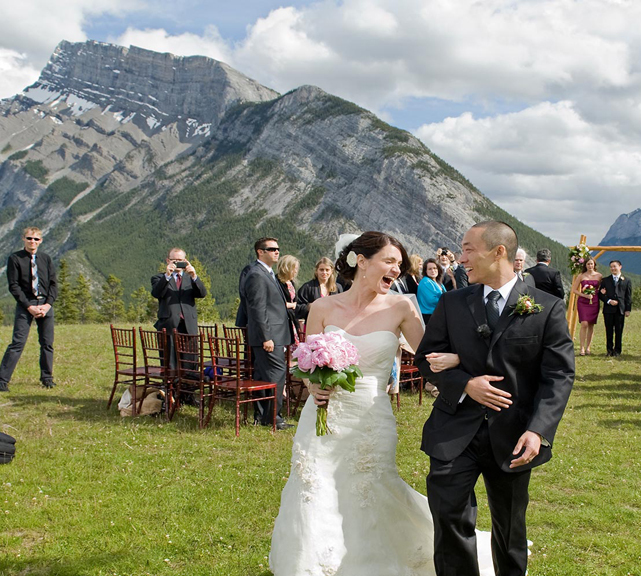 World-class venues, fine dining and breath-taking landscapes make Banff the perfect place for your wedding. Thousands get married in Banff every year. The Town of Banff offers several exceptional venues. To see these venues and get more information, refer to our wedding package and the links below. Facility Availability - Check facility availability before booking. Town of Banff facilities can be booked up to 18 months in advance. Contact our Facility Booking staff to book your perfect day 403.762.1235. If you're looking for a venue outside the Town of Banff, but inside Banff National Park, visit Parks Canada's site on Wedding Ceremonies. Follow Banff Town's board Weddings in Banff on Pinterest.